Self-regulation is often confused for self-control, discipline, or compliance. These words paint a picture of an emotional victory against stressful odds. A skillful self-regulating child, however, is trained to recover from a stressor, entirely on their own, with minimal shifts in attitude. Our nervous system can lead us to emotional states that see-saw between extremes of excitability (hyper-alertness) and depression (hypo-alertness). Neither state is productive. 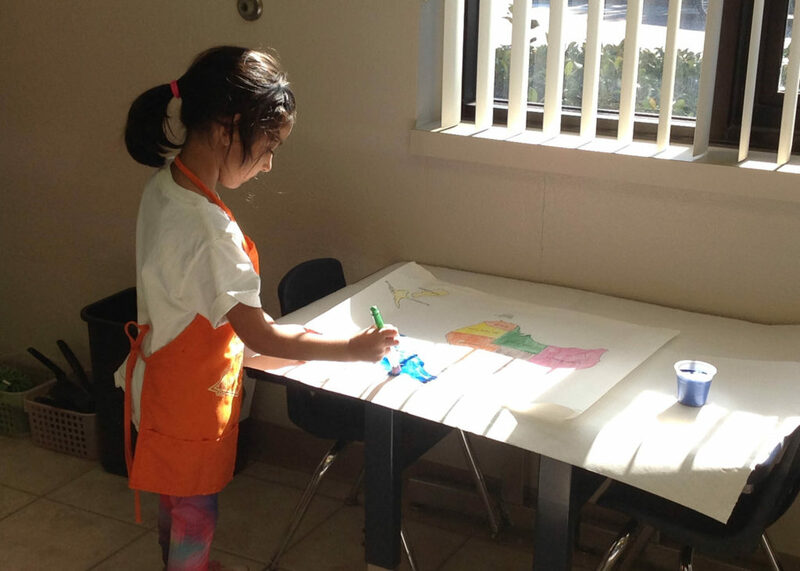 The Montessori classroom progressively teaches your child to self-regulate, i.e. they learn to “normalize” without allowing the see-saw to swing violently in either direction. Carefully planned environments. The colors on the walls, materials on the furniture, demarcated quiet to loud zones – all ensure a uniform self-regulating environment for your child. Your child has freedom to choose his or her activities, but within a structured environment that promotes an autonomous gravitation towards quality, habit-forming choices. Promotion of spontaneous concentration. Your child will be encouraged to concentrate and persist on tasks at his or her own pace, just outside the comfort zone, which stimulates a sense of accomplishment but avoids frustration. Work brings its own rewards. We prefer to let accomplishment fuel your child’s inner reward experience, instead of external stimulatory rewards. This helps him or her slowly outgrow the need for other-centered regulation. Support and guidance. Our guides are trained to support your child with positive or neutral, never negative, feedback. They help your child understand his or her emotions by verbalizing them and giving them form, so that they can effectively deal with them. The best efforts in school can be wasted without a self-regulating environment at home. Channel the behavior your child observes at school. Model self-regulating behavior by effectively dealing with your own stressors in life. Remember that self-regulation is not a destination, it is a journey to a life well lived. At Starwood Montessori in Frisco, we are committed to empowering you as a parent with information that can add significant value to your child’s life. If you are looking for the right education for your child, you do not need to look any further. Feel free to stop by our office or call us at (972) 712-8080.